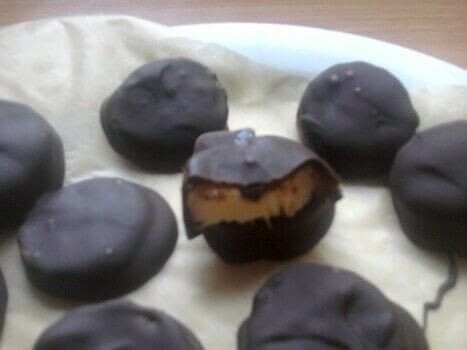 Of course they're not the healthiest of snacks, but better than some bonbons filled with sugar stuff, and the combination of chocolate and banana is so great. Melt the chocolate and pour it over the banana slices with a spoon. It's best to put a sheet of wax paper under them, so you can easily pull of the excess chocolate afterwards.